We are really proud to be apart of this exercise because 1) the concept is both unusual and exciting, and 2) you always want to sign up for these things but a) never get around to it, or b) do not know where to go to fill in the necessary documents (or at least in my case). This is the last week of the store…so go on, buy something cool, by doing something good. 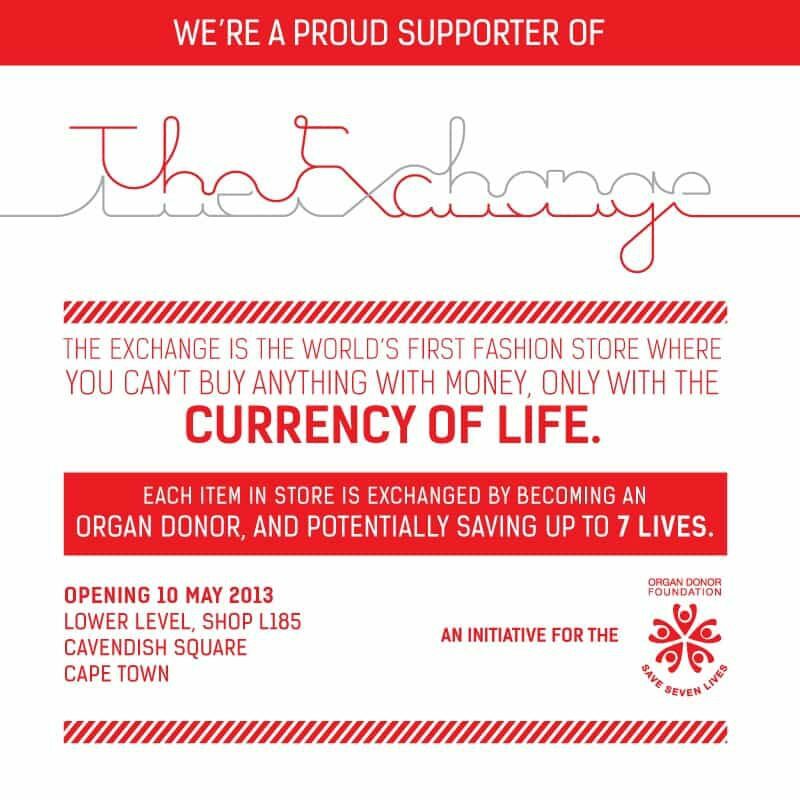 This entry was posted in Blog and tagged cape town donor, currency of life, fashion saves lives, organ donation, organ donor, the exchange.